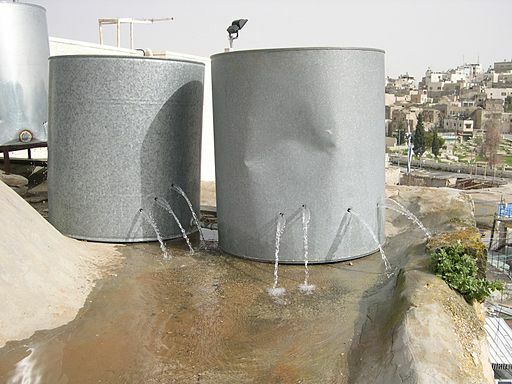 Palestinian water tanks destroyed by settlers in Hebron. By ISM Palestine. In order to address this critical situation, a major and timely effort in terms of financial, material and physical resources is required to avoid further human catastrophe. The need for infrastructure repair and rebuilding covers all components of the water and wastewater systems, including piping and pump stations; wells and reservoirs; fresh- and wastewater treatment facilities; power supplies and control systems; construction and maintenance facilities, vehicles and trained personnel; and operations, administration and material storage facilities. [i] Beyond this, there is a clear need to address the ability of the Palestinians to treat and reuse their own wastewater. Israel has taken advantage of this lack of Palestinian wastewater treatment capacity by putting in place policies, practices and plants designed specifically to benefit Israel’s interests over Palestine’s. It should be noted that while the PWA has secured funds through different donors for small- and large-scale sewage treatment facilities and plants in the West Bank, permits from the JWC and the CA to implement these projects are still pending. 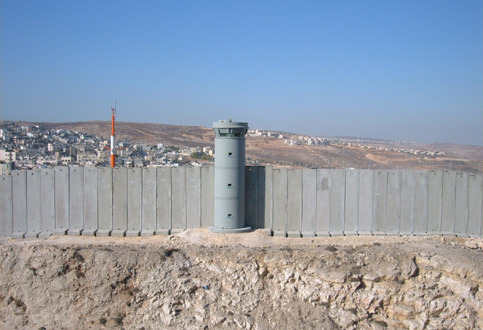 Separation wall between Israel and Palestine. http://www.pwa.ps/userfiles/file/تقارير/تصنيف%201/FINAL_ESIA_ESMP_22Sep2014.pdf, accessed 17 April 2015. [iii] PWA, 2012b, Palestinian Water Sector. Status Summary Report: In Preparation for the Meeting of the Ad Hoc Liaison Committee (AHLC) 23rd September 2012, New York. Available at: http://reliefweb.int/sites/reliefweb.int/files/resources/Water%2520summary%2520for%2520AHLC%2520report%2520FINAL.pdf, accessed 29 April 2015.